The Mountain Equipment Glacier 1000 is a superb all-rounder. Its temperature rating of -16 deg C is conservative, as the manufacturer suggests you can get a ‘good night’s sleep’ at -20 deg C in this bag. The performance edge comes from the 725+ fill power down with minimum 90 per cent down and just 10 per cent feather. This down is also part of ME’s Down Codex project, which ensures down is not live-plucked or from force-fed birds. This down is held inside trapezoidal and box wall baffles for reduced cold spots. Outside you get water-resistant Drilight Loft II fabric. The full-length zip gets a huge baffle, and there is a massive shoulder baffle plus a particularly well-shaped hood. You also get a very good roll-top waterproof compression stack. The quality of the performance and the ergonomic shape of the Mountain Equipment Glacier 1000 make it a top pick for colder nights. 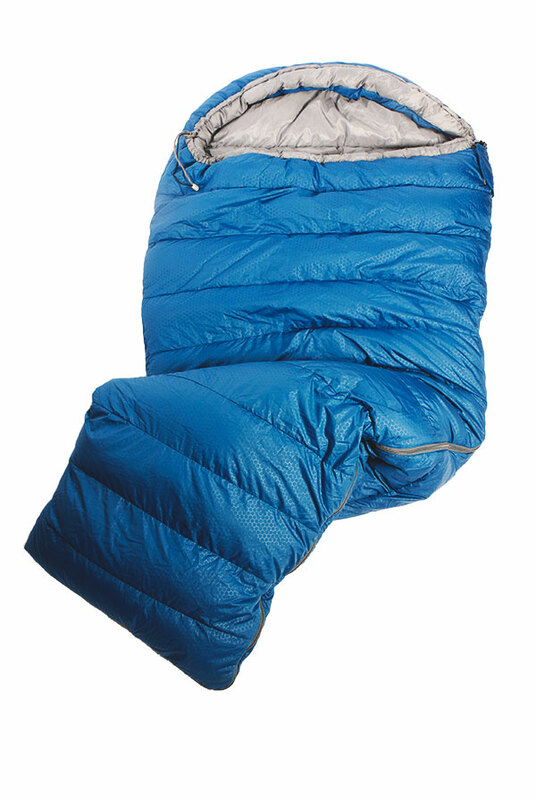 The Mountain Equipment Glacier 1000 was the best choice in our test if you are after a solid all-rounder of a down winter sleeping bag. 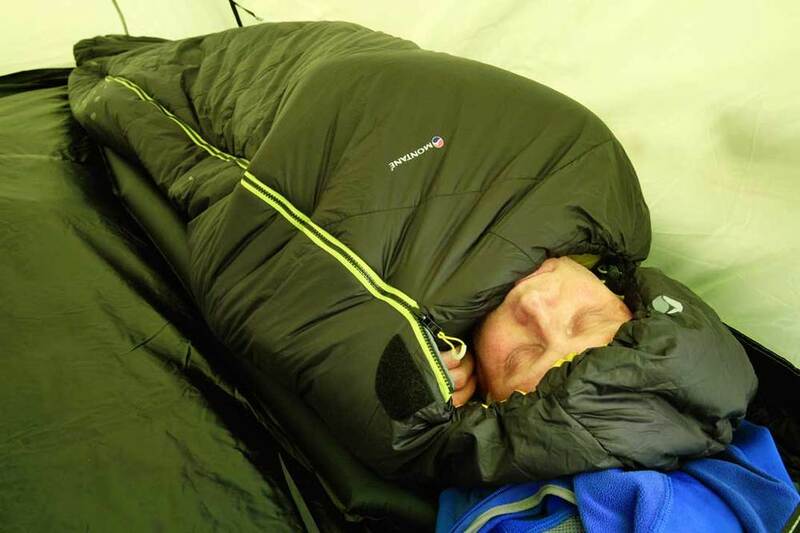 Not content with making award-winning clothing and rucksacks, Montane has released a range of sleeping bags. Having gained a reputation for selling products designed to take the user to the top of the hill and back again in practical comfort, the brand has a lot to live up to – and a lot to lose if this new range falls short of expectations. There are six models in the collection, from down-filled bags for polar expeditions to lightweight summer bags such as the Prism featured here. 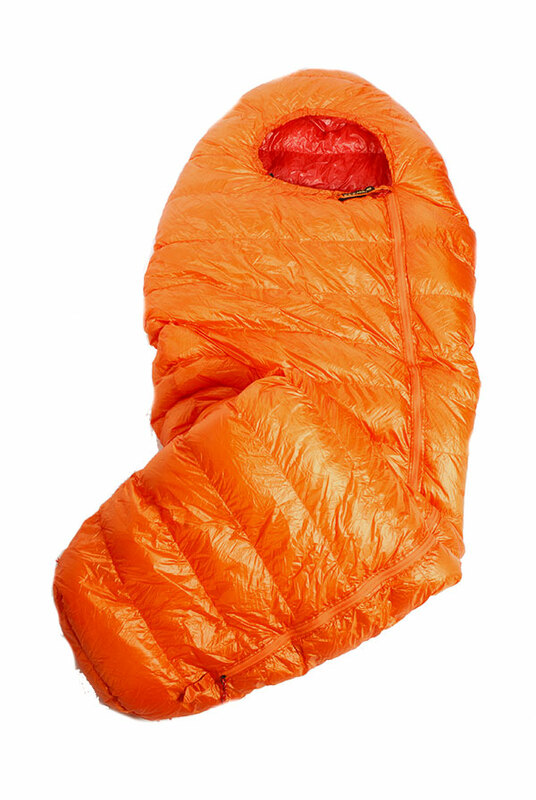 With a temperature rating of 0 deg C, this should be ideal for UK summer conditions. While the other five bags in the range use down insulation, the Prism harnesses the heat-retaining power of Primaloft Eco, a synthetic fibre that maintains performance when wet better than down, is lower in price than down, and is made from post-consumer recycled plastic bottles so it’s great for the planet. So while you could choose a Montane Minimus down-filled bag with a -2 deg C temperature rating for £375, you can walk away with plenty of change if you instead go for the Prism at just £175. The drawback of course is the packed size and weight, as the Prism weighs in at 1216g, while the Minimus is just 867g. But compared to other synthetic bags the Prism is very respectable in terms of its price, although you can get lighter synthetic bags. However, check the detail and Montane’s Prism is well worth a closer look. Firstly the Prism uses Pertex Microlight outer fabric, which is very breathable so it won’t feel clammy, and it’s also fast-drying for when the bag gets damp. Meanwhile you get a comfortable synthetic lining inside. 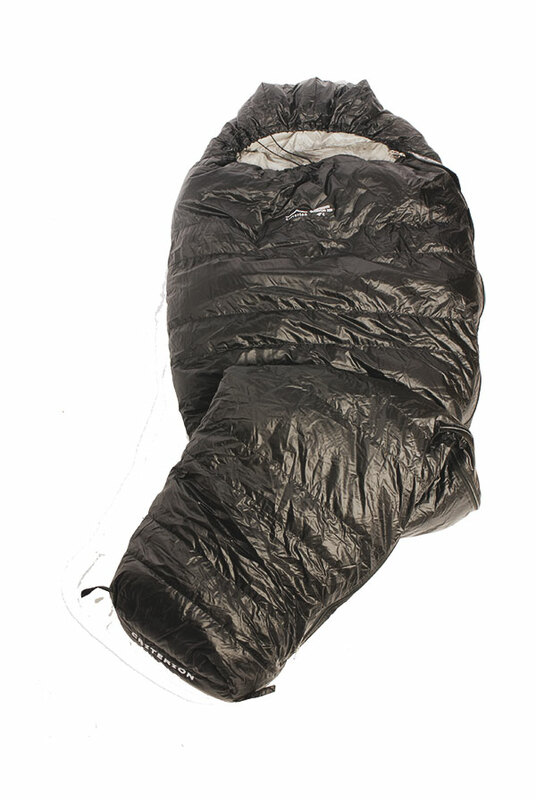 Lightweight bags often skimp on the side zip, but on the Prism there is a long zip to the calf area and this has an exceptionally good anti-snag design; in fact I would say it is probably one of the best and least snaggable zips that I’ve ever seen on a sleeping bag. There is a decent baffle behind it as well, to prevent cold spots. There is extra attention to detail at the foot, as you get a ‘flipper’ shape to allow a little more space for your toes. The hood is equally impressive and it’s easily adjusted to form a wonderful cocoon around the head. 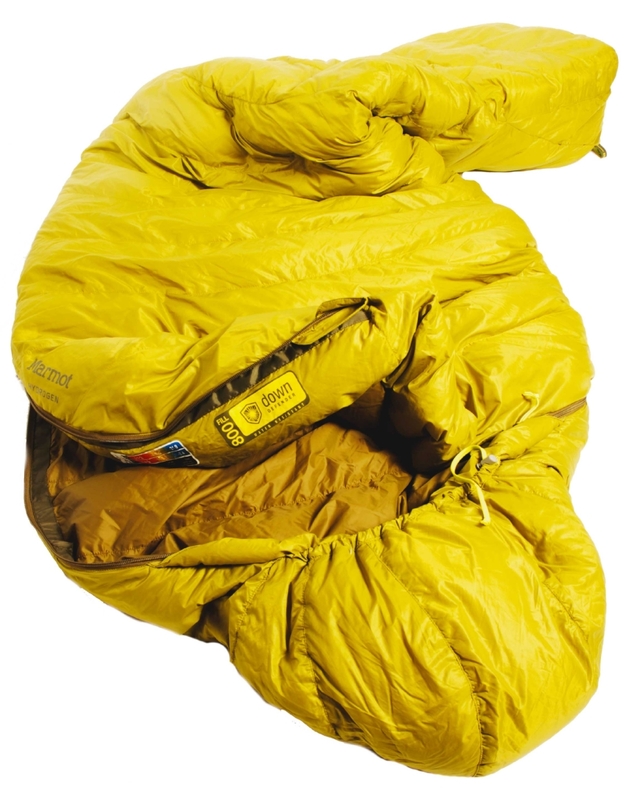 If you don’t like having the hood fully battened down, then the most important feature of a sleeping bag is a good shoulder baffle to trap air around the body. Again this is a feature many lighter weight bags skimp on, but on the Montane Prism you get a well-insulated wide baffle that’s ideal for keeping all that warm air inside the bag. There are some ‘nice-to-have’ details too, which include an internal zip pocket and an internal mesh pocket for a water bottle. Plus you get silicone anti-slip patches on the base of the bag to reduce slippage on a sleeping mat or bivvy bag, and this did appear to be effective in my tests. 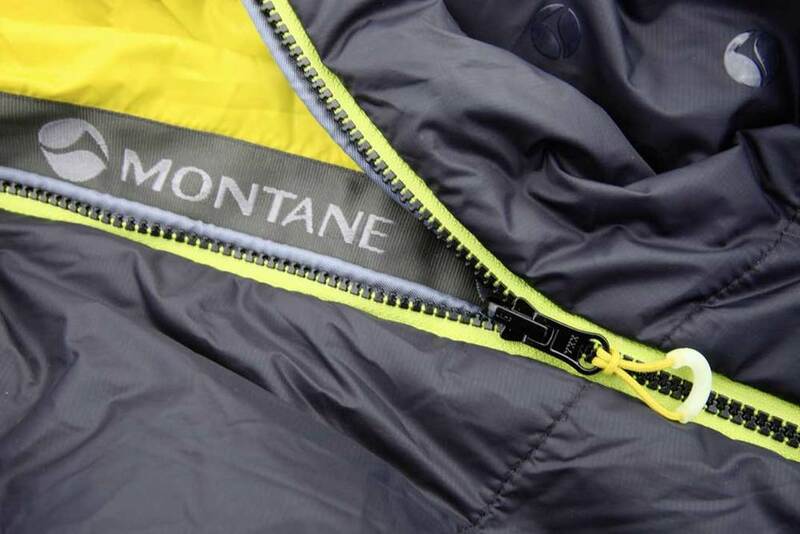 Montane has done it again! 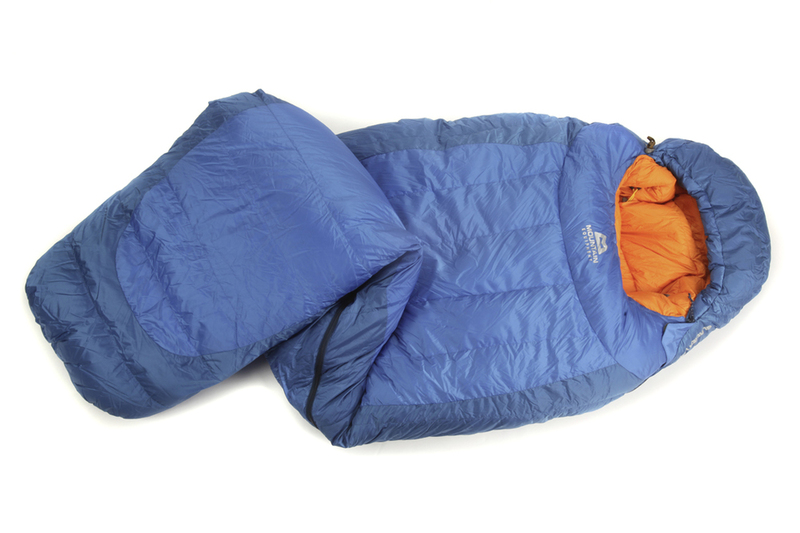 The Prism is packed with practical features to make a night on the hills comfortable. Its weight and packed size are drawbacks, but at this price the Prism is a great summer bag. 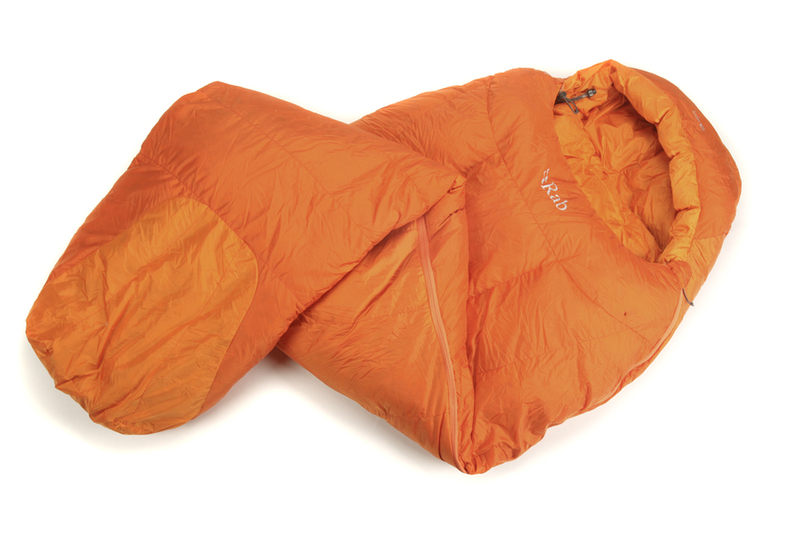 On paper the Vango Venom 600 packs a mighty punch. The temperature rating for this bag is similar to the top-end bags in our test, being in the -3 to -9 deg C comfort range; and while it’s a little heavier than bags with much higher price tags it does have a good packed size, making it very suitable for stuffing into a rucksack. It features down insulation with a fill power of 700, while higher-priced models have down with a fill power of 800 to 850 – so it needs more of it to create the same degree of insulation. It features a box wall construction, but you don’t get the slant wall of higher-priced bags to limit heat loss through the seams. All these details add up, but the biggest drawback is that you only get a short side zip that extends to the hip area, so you can’t vent your legs in this bag. Having such a short zip should reduce weight though. 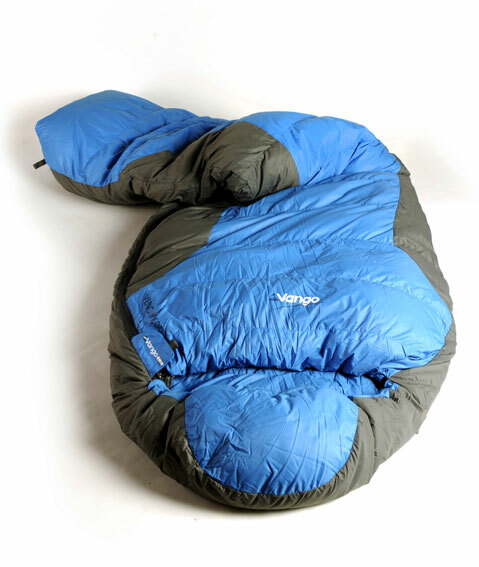 The Vango Venom 600 generally has less well-placed down, with much smaller baffles behind the zip and around the shoulder, than higher-priced bags, while the hood is nowhere near as cosy as the top-price bags. This all adds up to not feeling quite so comfortable and cosy in use. The benefit of course is the relatively low price tag, which may be enough to sway you in its favour. The Vango Venom 600 is good on paper and on your bank balance, but the features and user experience don’t quite match those of higher-priced bags. Neosphere range of bags from Deuter are packed full of features, including a compression stuffsack to reduce packed size. Having elastic seams that allow this bag to maintain a closer fit enhances its warmth, and the down insulation is captured in trapezoid chambers within the bag to reduce cold spots. 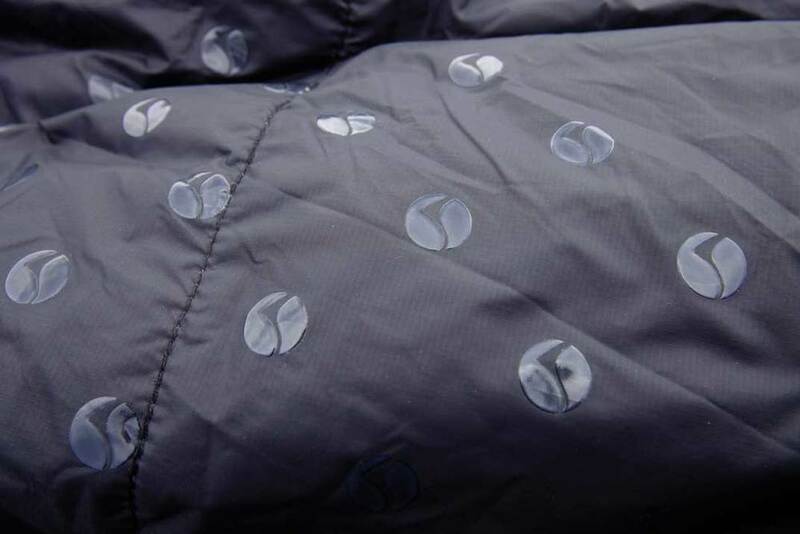 The performance of the down is further enhanced by the Dryzones in the head and foot section where the outer fabric is treated with water repellency. 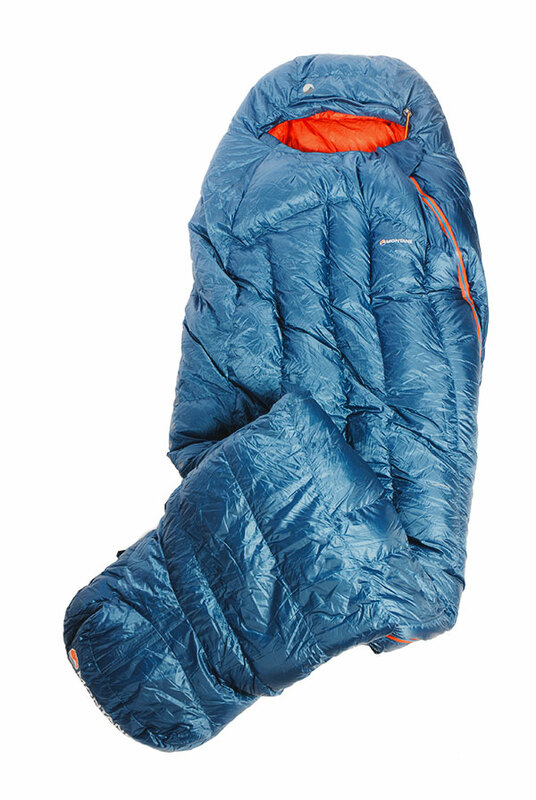 There is a long side zip that allows the calf area to be vented, with a very wide baffle that’s well-filled with insulation plus an anti-snag strip, and this whole area of the Deuter Neosphere -4 is very well-designed for ease of use and comfort. Around the shoulder is another wide collar with good insulation and an elasticated drawcord. The hood also has good insulation and a drawcord that’s a different design from the shoulder cord, so it’s easy to differentiate between them. As the Deuter Neosphere -4’s name suggests the bag has a temperature rating of -4 deg C; and while some other models have a lower temperature rating this bag also appears warmer than some bags here – and certainly for those who don’t need the warmest option it is a great choice. The drawback is that it’s slightly heavy for its temperature rating. The Deuter Neosphere -4 is a great price for a bag that’s bursting with performance-enhancing features, and it would be ideal for many UK backpackers. It won Trail’s ‘Best Value’ award. The Cumulus Quantum 350 is an extremely lightweight bag at just 702g plus an extra 20g for the stuffsack. It also packs down very small and appears to be ideal for anyone wishing to minimise their camping kit. 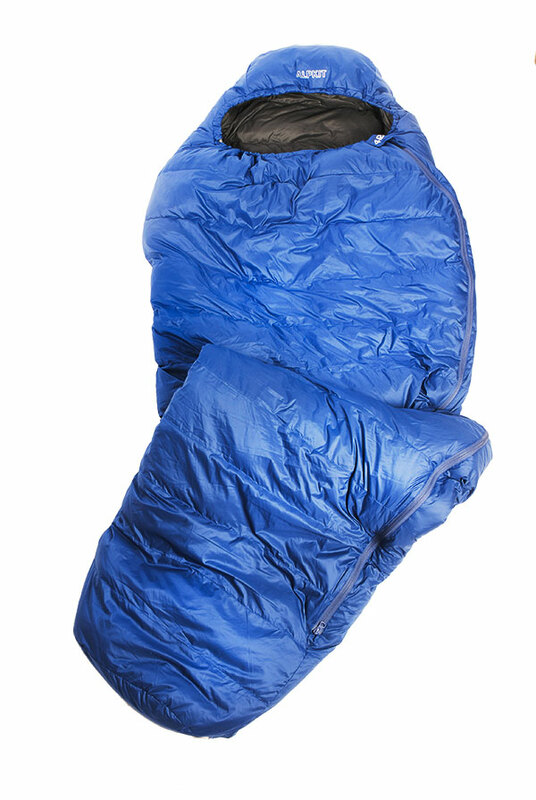 The bag uses a trapezoid construction, so the seams are less likely to produce cold spots, which again is ideal for efficient and comfortable camping. There’s also a long side zip, extending all the way to the foot, unlike many bags, which stop at the calf area. This zip allows good venting of the foot area, and is a real benefit in warm weather. Behind the Cumulus Quantum 350’s zip there’s a baffle to prevent cold spots, but this isn’t as well-insulated as some other bags. I also found that the zip tended to snag on this baffle more easily than some others and this appears to be because there’s no wide stiffening strip behind the zip, a feature often provided to prevent this in other bags. There’s a small baffle around the shoulder but this lacks an adjuster cord and is, like other parts of this bag, less well-insulated than some others. There is a drawcord around the hood, but this isn’t quite as cosy as other bags either. Overall the Cumulus Quantum 350 just lacks some of the insulating ability of other designs. The Cumulus Quantum 350 doesn’t seem to be as well-insulated or as warm as other bags in this test, so while it’s very light and a good price, it isn’t the cosiest option. At just £170 the Robens Caucasus 600 is instantly appealing to anyone on a tight budget. 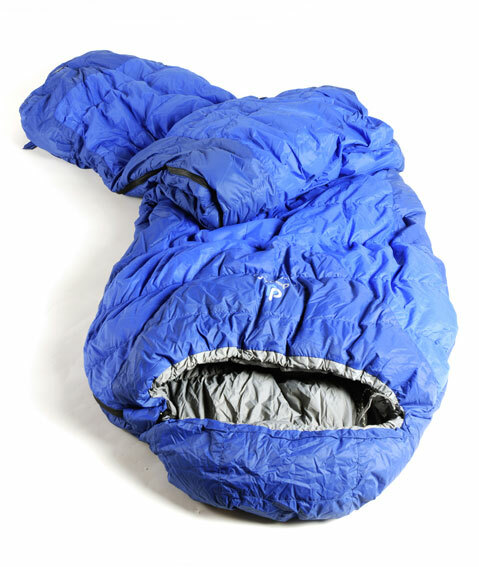 It has a good temperature rating of -2 to -8 deg C, making it ideal for 3-season use. The insulation is down, like all the other bags in our test, but with just a 600 fill power it isn’t quite of the same quality as the higher-priced bags, so you need more of it to stay warm. The outer is made of nylon like most alternatives, while the inner is polyester, which doesn’t feel quite so nice but helps to keep the price down. The insulation is trapped inside a box wall construction and appears to be well distributed through the bag and its baffles. There is a side zip that extends to the calf area, and this has a good anti-snag strip and baffle inside. The shoulder baffle gets a drawcord, and there is a hood drawcord too, so there’s plenty to like about the Robens Caucasus 600. The drawback is there’s no extra water resistance at the head and foot areas, as some higher-priced bags offer; and more importantly it’s quite heavy at 1225g (1289g with stuffsack). It packs down quite small, though, thanks to a very good compression sack. Lightweight backpackers will benefit from finding some extra cash for the higher-priced bags, but if this is your budget then the Robens Caucasus 600 is great for the money. The Robens Caucasus 600 is a very good 3-season bag with a low price tag; but it’s relatively heavy, making it less than ideal for backpacking unless you really can’t stretch your bank balance.